I read on a psd forum where a guy wanted to put the pre vs post bickering to rest. He put one probe in the mani, and the other in the up pipe. Under WOT, he said there was as much as 500 degrees variance between the two readings. Obviously the higher the EGT, the greater the temp difference will be. But has anyone run 2 pyros? Maybe hold 950 post turbo and see if it really does read 1250 pre turbo as well? Understand the difference between the two readings (PRE-turbo, and POST-turbo). - The turbo-charger is powered by the otherwise wasted heat of combustion sent out the exhaust manifold. The temperature drop represents that energy of the exhaust gasses, that the turbine is consuming in order to power the compressor. (Turbine spins the compressor = Turbo-charger). Example: 1200*F PRE-turbo. 900*F POST-turbo. The 300*F drop is the energy spent powering the turbo-charger. The 300*F is typical, and may vary pending the loading, fueling, etc of the engine, as well as the turbine and compressor wheel designs, as well as the turbine and compressor housings. The powering of turbines, in general has been / is constantly been death to death. Especially in the prime-mover / power industry (nuclear / fossil fuel electric power generation for example). It's a regular thing to have multiple stages of turbines that make use of the expanding steam (exhaust gasses in our case), some even including inter-stage reheating. 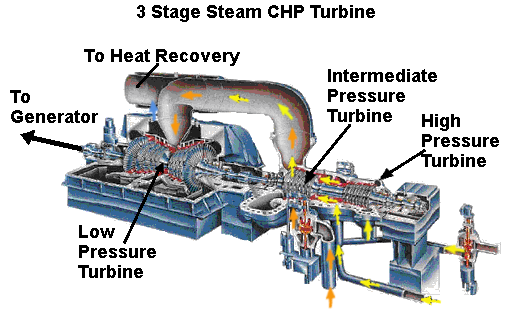 It's common to find the final turbine playing into a water cooled condenser that actually develops a vacuum pulling on the outlet of said final turbine. "The Duramax 6.6L in GM pickups.....has a limit of 1,365 (deg. F) continuous, with 1,435 allowed for transients of five minutes or less." Information gathered from engine builders for 2006 year model engines. "Based on production engine indications and aftermarket experience-read wreckage, it appears that 1,350 is a safe number for P7100 and later engines." I wasn't on the road, I have more sense than that. I was goofing around in a snowy parking lot in 4wd. I did it without a pyro a couple times as well. That truck has definitely been through some stuff. One of my friends regularly grosses 22k with his W350. Not cranked on too hard but 2 turns on the screw, fuel pin, 3200 spring etc and no pyro. I probably wouldn't sleep too great at night, but I'm pretty good at worrying too. ill throw in my 2 cents, aluminum melts around 1250*, I believe thats why people always give that temp as a sustained max. If i had an aluminum head duramax i think i would stick to 1250. All motors can probably handle breif stints of excessive heat because you are not heat soaking the parts. In the long run, there can be cumulative effects. Potential stress-risers as a result of the quick, uneven thermal cycling. I'm doomed. DOOMED, I say!